Antonio L. "Anthony" Nunes, Jr.
Devin Nunes is an American politician. He has been a United States Congressman since 2003 representing the 22nd congressional district of California. Nunes is the Chairman of the House Committee on Intelligence and a Republican member of Congress. He was part of the President Donald Trump transition team. Stay tuned with this page to know more details about Devin Nunes. What is Devin Nunes Famous For? As the chairman of the US House Permanent Select Committee on Intelligence. Serving as a US Representative for California’s 22nd congressional district, a position he’s held since 2003. Battling environmentalists over water rights. 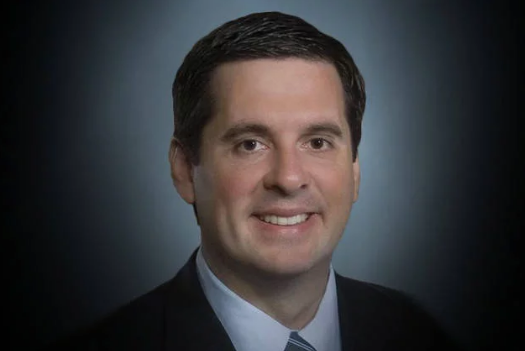 Devin Nunes was born in Tulare, California, United States. Moreover, he is the older of two sons born to Antonio L. "Anthony" Nunes, Jr. and Toni Diane Nunes. He has one brother named Anthony III. As per his nationality, he is American and holds Portuguese descent. Furthermore, he grew up on a family farm in Tulare County that was operated by his family for three generations. Well, talking about his education he attended Tulare Union High School and College of the Sequoias for high school education. Similarly, he achieved a bachelor’s degree in agricultural business from Cal Poly San Luis Obispo and also completed a master’s in agriculture over there. Apart from his early life, he won his first election, unseating an 18- year veteran of the college of the Sequoias board of trustees at the age of 23. Moreover, he began a career in government when President Gorge W. Bush appointed him to the US Department of Agriculture’s Rural Development section as the California state director in 2001. The following year, he ran for the Republican nomination in the 21st congressional district, which was a newly created district at the time, and won as he was the only major candidate from Tulare, and had solid endorsements. He has stayed in this position, even running unopposed during the 2010 general election. 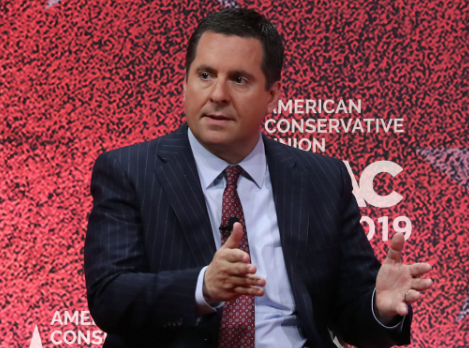 As a part of the Congress, Nunes has helped develop numerous policies; he was one of the original co-sponsors of the Roadmap for America’s Future Act, and also introduced the Public Employee Pension Transparency Act. He is known to be vocal on environmental policy, especially when it comes to events relating to agriculture and farmers. He authored the Sacramento-San Joaquin Valley Emergency Water Delivery Act to help restore a dried-up section of the San Joaquin River, and also authored the American-Made Energy Freedom Act. Devin has been involved in policies on healthcare too, being the co-author of the Patient’s Choice Act which would establish a system of state health insurance exchanges and amendments. He also introduced HR 99 which made California State Route 99 a High Priority Corridor, authorizing it to become a part of the Interstate Highway System. He opposed the Joint Comprehensive Plan of Action, clashed with the Pentagon over a US base in the Azores, Portugal, and served as House Intelligence Committee chairman, overseeing the investigation into the US response to the 2012 Benghazi, Libya attack. Later, Devin served on the Trump transition team, and became the first leading House Republican to deny that there was any contact between the campaign and Russian operatives, but eventually, the House Intelligence Committee started to investigate possible Russian interference during the 2016 US presidential elections, and Devin was criticized for not sharing information about the investigation of the Trump campaign. He was investigated by the United States House Committee on Ethics due to improper disclosure of classified information, but the committee later came to the conclusion that the information disclosed was not classified. He continues to serve as the Chairman of the House Permanent Select Committee on Intelligence and is a member of the House Baltic Caucus. He has been described as ‘Trump’s second-strongest ally in Congress’ by former Trump campaign CEO Steve Bannon. Nunes released a memo in February 2018 alleging that the Federal Bureau of Investigation (FBI) and Justice Department were involved in a conspiracy against President Trump, drawing from the FBI’s and subsequently special counsel Robert Mueller’s investigation into possible collusion between the Russian government and the Trump campaign. Moving onto his personal life, love affairs, and relationships, Devin Nunes is a married man. He tied a knot with his long-term girlfriend turned wife, Elizabeth Nunes, in the year 2003 after dating several years. Moreover, couples have happily spent many years together. Even more, the couple is gifted with three daughters, Julia Nunes, Evelyn Nunes, and Margaret Nunes. The political leader has straight sexual views. Well, as of 2019 the couple is happily enjoying their parenthood along with their professional life. Similarly, there are no rumors about their separation and extra-marital affairs. Devin Nunes estimated net worth is around $158,001 as of 2015 and 2016 but he has not yet disclosed about his current net worth. Moreover, he has invested in many sectors like Financial, real estate, business, and agribusiness. Furthermore, he co-sponsored the Public Employee Pension Transparency Act with Paul Ryan. Well, there is no further information about is salary and income. Moreover, as in 2014 elections, he got $1.4 million in political action committee(PAC) contribution and in 2016 he received $1.6 million in a campaign contribution. Similarly, as per his successful career, he has enjoyed a lavish lifestyle. Observing his body measurements, he stands a height of 6 feet 1 inch. tall. Similarly, he has a pair of brown eyes and black hair color. Furthermore, he used to wear 11 (US0) size of shoe. His other body information was not disclosed yet. In the case of disclosed, we will let you know. He is a founding member of the congressional Hispanic conference. He was serving as a US Representative for California’s 22nd congressional district, a position he’s held since 2003. He is the chairman of the US House Permanent Select Committee on Intelligence.